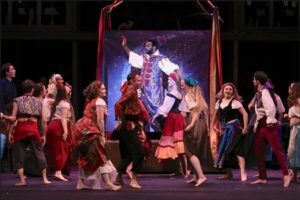 For the first major version of “The Hunchback of Notre Dame–The Musical,” Culture House undertook a major project, and, again, pulled it off with force, dedication, and skill–as expected from past summer shows. Culture House opens their show for only four performances in Yardley Hall on the Johnson County Community College Campus. 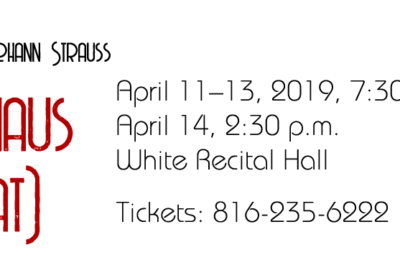 Rush to get tickets because this is the only weekend to see this production that utilizes a huge cast, outstanding costumes, fantastic voices, strong acting, and a classic story of good versus evil. The complex story takes the audience back to the time of Quasimodo’s birth and the death of his parents, leaving him the ward of a self-righteous clergyman whose motives become more and more compromised after he meets the vexing Esmeralda. Claud Frollo, Quasimodo’s guardian, falls madly in love with an enticing Gypsy girl, Esmeralda. His evil manifests as his carnal desires continue to surge for the Gypsy. His sense of Godliness goes further and further off-kilter as his desire for Esmeralda swells. The theme of the Victor Hugo novel focuses on the powers of good against the powers of evil. The musical version, still very dark, takes huge liberties with the actual novel. As such, much of the violence has been removed and a love story enhanced. Esmeralda’s charms bewitch many, but in this story-telling of the piece, she claims the heart of Quasimodo, Claud Frollo, and Captain Phoebus de Martin. As Phoebus and Frollo desire Esmeralda for different interpretations of love (Frollo for carnal lust; Phoebus as a true-love), Quasimodo sees her as his “savior” as such. To Quasimodo, Esmeralda saved him, showed him kindness, gave him comfort, and gave him strength to believe in goodness. Quasimodo sees not her sins, but her kindness. Even though Quasimodo loves Esmeralda, his love remains an innocent, naive, platonic love. He knows all too well of his deformities and that he will never be accepted in public. His sad story is that he dwells within himself until compelled by his love for Esmeralda to act in her defense as best he can. When viewing the show, the costumes stand out from the opening gathering number and continue to bring color, the time setting, and the inequality of the Gypsy camp against the soldiers and clergy. The story begins in the 1400s in Paris in the shadow of the great monumental church, Notre Dame. 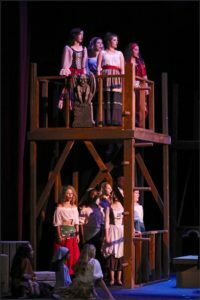 As the characters begin to sing and perform, focus shifts to the actors, voices, and large bells that signify the bell tower of the revered church and sanctuary. Quasimodo, beautifully brought to life by Austin Stang, gives his biggest and most dominant performance to date. His rendition of the deformed Quasimodo is tender and touching. The audience sees his pain and desire to bring goodness and kindness into his lonely world. His vocals just magnify his acting performance. As the arch enemy of good, Michael Scahill just dominates the stage as Claud Frollo. His notion that Quasimodo is his “cross to bear” and that his agenda reflects godliness show the pure evil of his nature. 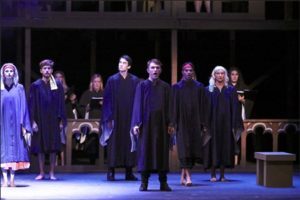 Frollo’s lust for Esmeralda can be seen in the body language, the facial expressions and the confidence with which Scahill beings to the stage. 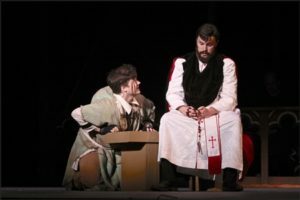 Scahill’s booming baritone explodes through the show and gives his performance even more strength. For the alluring Esmeralda, Alisha Richardson gives her a flirtatious nature. Her presentation of the ill-fated beauty is sensitive, provocative, but never suggestive. Her vocal performance equal those of the two male leads. Richardson plays Esmeralda as a high-spirited Gypsy, but not a temptress or a vixen. The portrayal works well as the balance between the two male leads. A duet with Quasimodo can bring goose bumps. Another actor who stands out in the production, Nathaniel Rasson, plays Chopin Trouillefou, the head of the Gypsy encampment. His stage presence always draws the audience’s attention and his songs provide a break from the darkness of the story. Chopin serves as a narrator of sorts to introduce the audience to the show as the curtain opens. Rasson is a young actor on the rise as evidenced from several past productions. This allows him to showcase more of his talent. 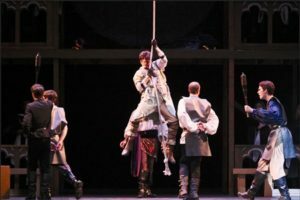 The technical aspects of the show are solid and help create the theater magic one expects from Culture House. The details make the show work. Costumes, hair, makeup, lighting, sound, props all deserve their due credit. The orchestration and delivery of the score are outstanding without overpowering the action and voices on-stage. 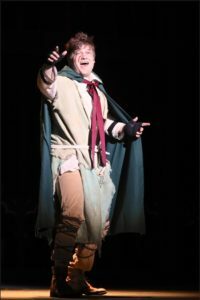 “The “Hunchback of Notre Dame” is: Quasimodo, Austin Stang; Esmeralda, Alisha Richardson, Claud Frollo, Michael Scahill, Captain Phoebus de Martin, Daniel Wohlberg,; Chopin Trouillefou, Nathaniel Rasson, Jehan Frollo/Gargoyle/Soldier/Gypsy, Alec Bridges, Florika/Gargoyle/Gypsy, Addie Lee, Lieutenant/ Frederic/Gargoyle/Gypsy, Jefferson Harwood; Tribunal/St. Aphrodieius/Gargoyle/Gypsy, Nick Perry; Father Dupin/Gargoyle/Gypsy, Torin Keena; Madam/Gargoyle, Ashley Jones King; Louis/Gargoyle/Soldier/Gypsy, Michael Golliher; Gargoyle/Soldier/Gypsy, Jamy VanSyckle; Gargoyle/Soldier/Gypsy, Cameron Gunter; Gargoyle/Gypsy, Nichole Miller; Gargoyle/Gypsy, Hannah Franken; Gargoyle/Gypsy, Ted Marsh; Statue/Gypsy, Erica Bibb; Statue/Gypsy, Valerie Knott. Gypsies: Ahilyn Aceves, Allison Cloud, Elaine Christensen, Renee De Voe, Havilah Gilliland, Naomi Holkeboer, Josyln Joseph, Madison Kelsey, Lauren Martin Prins, Eleanor Panico, Seneca Sims. Ensemble: Kaitlyn Borgelt, Megan Clifford, Rachel Field, Declan Franey, De’Markcus Howell, Sharon Johnson, Marty Joseph, Cyndy Lank, Morgan Lank, Kaelana Mong, Lynsie Petersen, Alex Schmidt, Cierre Wesley. Children’s Ensemble: Aliyah Hart, Alex Marsh, Teya Pak, Aubrey Richardson, Neena Shankar, Olivia Snyder, Isabelle VanSyckle. Choir: Rachel Adcock, Corinne Bakker, Arthur Clifford, Casye Davidson, Raheem Fielder-Bey, Spencer Fleury, Tony Francisco, Bradley “Nick” Haney, Chris Hecker, Tammy Iba, Sarah Jeter, Ezri Killeen, Courtney Koval, Kyle Kurtz, Tammy Macmillan, Mark McNealy, Alai Melgar, Joy Richardson, John Ross, Chris Roth, Sara Scherba, Carsen Shook, Jenni Wilson, Ray Young. 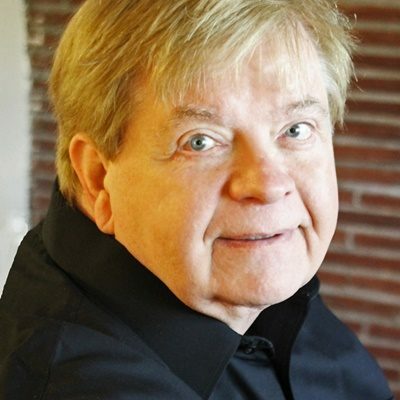 The orchestra for “Hunchback of Notre Dame” is: Orchestra: Conductor, Matt Richardson; Keyboard I/Rehearsal Accompanist, Michelle Reed; Drums/Percussion, Blake Vignery; Keyboard 2, Deana Wagoner; Reed I, Jim Vinkenberg/Kaytee Dieterich; Reed II, Anne Sneller; Reed III, Ron Mundt; Trombone, John Burke; Horn, Paul Jolley; Trumpet I, Andrew Beckstrom; Trumpet II, Chris Kohl; Viola, Julia Davis; Violin I, Mia Hamaker; Violin II, AJ Bonci; Cello, Alexis Biehl. 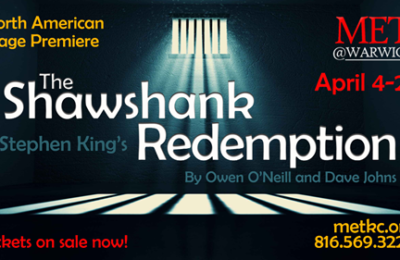 The directing team is: Director, Amy LaGrone Sander; Music Director/Orchestra Conductor, Matt Richardson; Choreographer, Lana Jensen; Stage Manager, Jenny Keena; Music Assistant, Ezri Killeen. The production team is: Production Coordinator, Tracy Miller; Rehearsal Accompanist, Michelle Reed; Scenic & Costume Design, Amy LaGrone Sander; Costume Manager, Tracy Miller; Scenic Construction & Supervisor, Jason Hagg; Notre Dame Bells Construction/Design, Michael Scahill; Notre Dame Bells Art, Marty Joseph; Properties Manager, Kerstin Clifford; Lighting Design, Eric Morrow (JCCC Carlsen Center); Backstage & Shift Manager, Mike Keena; Spotlight Operators, Morgan Stacer, Connor Ampleman. 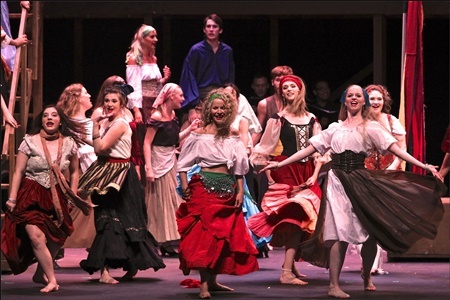 “The Hunchback of Norte Dame–The Musical” continues at JCCC only through July 22. The short schedule means make haste to see this show. Tickets can be purchased through the Culture House website link.